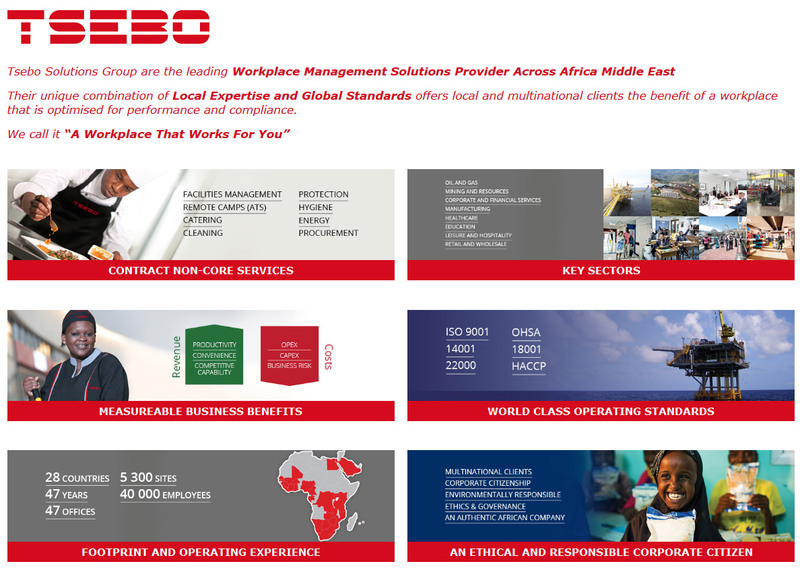 As part of the Tsebo Solutions Group, TsAfrika insists on supporting the Occupational Health and Safety Act, 85 of 1993. We always ensure that our staff work, and our customers enjoy our service, within an environment that is safe. To ensure compliance in our business we engage in continuous training on accident prevention, and constantly update our GMPs in accordance with the latest practices in this field. In addition, we have an internal team that audits operational practices on Occupational Health and Safety to drive continuous improvement.